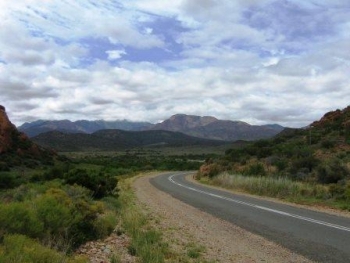 Buys Poort can be found between Uniondale and Willowmore in the Karoo on the tarred N9 national route. 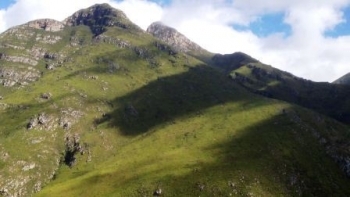 The road runs on the north-south axis through a natural poort between hills of approximately 1100m each, adjacent to the farm of the same name, before levelling out in a southerly direction towards Uniondale (30 kms). The road presents an easy gradient of 1:48 with a peak gradient of 1:20. This is such a minor poort that the average motorist wouldn't even be aware of it unless the waypoints have been inserted to provide advance notice. 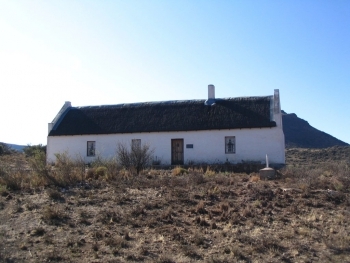 What it lacks in vital statistics, it more than compensates for in the form of tranquil Karoo scenery. 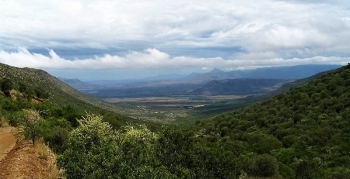 The Bulhoek Pass is a gravel road with a stiff gradient averaging out at 1:15 with some of the steeper sections at 1:10. The road links the R390 via the Bulhoek farm with the R56 south of Steynsberg. Sheltering within the magnificent Eastern Cape Zuurberg mountain range, Steynsburg is a quiet little Karoo town where the air is clean and the local sheep farming community are very friendly. 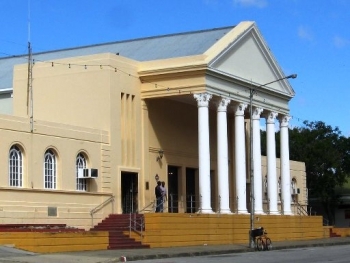 The man who took on the mighty British Empire, Oom Paul Kruger, and another Afrikaans legend, Marais Steyn, were both born here. So if you fancy a bit of heritage, mountains, grassy plains, strange geological formations, blue cranes and some arts and crafts, this is a lesser road worth seeking out. 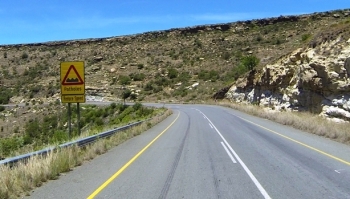 The Buffelshoek Pass lies on the R337 linking Pearston in the south with Cradock in the north-east. This rugged and beautiful pass offers sublime scenery towards the south over well wooded valleys and expansive plains packed with game. The pass quickly deteriotes in heavy rain or snow conditions and becomes dangerous for non 4WD vehicles, but in fair weather the road is perfectly suitable for all cars. The pass is 3,9 km long and has an altitude variance of a 330m producing a challenging average climb rate of 1:12 with the steeper sections measuring in at 1:6. 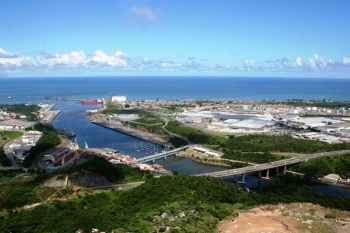 It's located just 15 kilometres north-east of Pearston. Nearby Pearston dates back to the mid 1800's and is today one of the prime towns associated with hunting. The village is looking a little dog-eared these days with poverty and unemployment taking its toll on tourism. 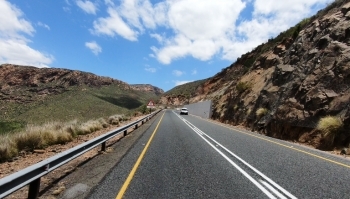 The 13,4 km long Huisrivier pass lies on the R62 between two valleys in the Little Karoo between the towns of Ladismith in the west and Calitzdorp in the east. It has 39 bends,corners and curves packed into that distance, which requires vigilant driving. Not only is this a fairly long pass, but it has many sharp corners, steep gradients and exceptionally attractive scenery. Many lovely rest areas have been provided by the road builders. The perfectly banked corners will be a joy to ride on a motorcycle. 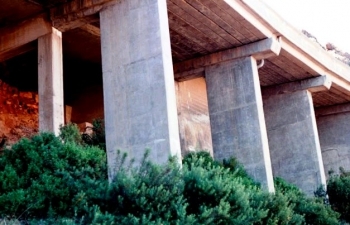 This pass is unique in that its geology is unusually unstable and several pioneering engineering techniques had to be applied to successfully build a safe all-weather pass. 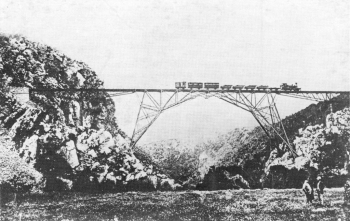 The pass, which includes three river crossings, is not particularly steep, where the engineers have managed to limit the speepest gradients to a fairly comfortable 1:12. The pass is suitable for all vehicles with the only natural dangers being rockfalls, but the substantial catch walls appear to be taking care of that as well. The road carries heavy trucking traffic and overtaking is sometimes difficult. Patience is required if you get stuck behind a slow moving truck.